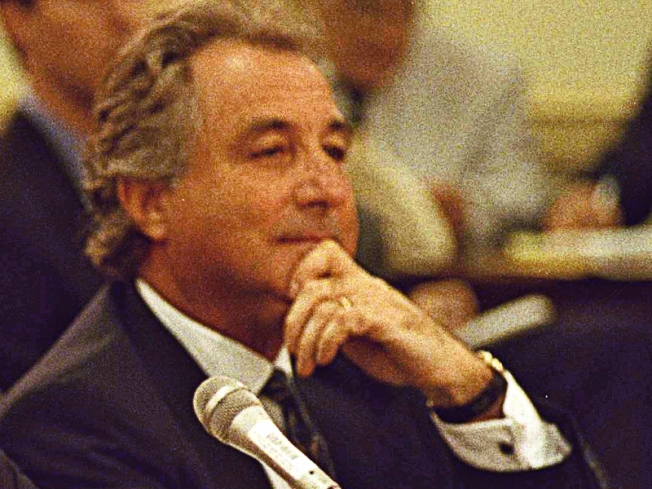 What was Bernard L. Madoff thinking? The list of investors who say they were duped in one of Wall Street's biggest Ponzi schemes is growing, snaring some of the world's biggest banking institutions and hedge funds, the super rich and the famous, pensioners and charities. The alleged victims who sunk cash into veteran Wall Street money manager Bernard Madoff's investment pool include real estate magnate Mortimer Zuckerman, the foundation of Nobel laureate Elie Wiesel, and a charity of movie director Steven Spielberg, according to The Wall Street Journal. Among the world's biggest banking institutions, Britain's HSBC Holdings PLC, Royal Bank of Scotland Group PLC and Man Group PLC, Spain's Grupo Santander SA, France's BNP Paribas and Japan's Nomura Holdings all reported that they had fallen victim to Madoff's alleged Ponzi, or pyramid, scheme. The 70-year-old Madoff (MAY-doff), well respected in the investment community after serving as chairman of the Nasdaq Stock Market, was arrested Thursday in what prosecutors say was a $50 billion scheme to defraud investors. Some investors claim they've been wiped out, while others are still likely to come forward. "There were a lot of very sophisticated people who were duped, and that happens a great deal when you've had somebody decide to be unscrupulous," said Harvey Pitt, a former chairman of the Securities and Exchange Commission, a regulatory agency in charge of monitoring investment funds like the one Madoff operated. The extent of the potential damage prompted a leading fund manager in London to lash out at U.S. regulators for failing to detect the fraud earlier. "I think now it is very difficult for people to invest in things that are meant to be regulated in America, because they haven fallen down in the job," Nicola Horlick, the manager of Bramdean Alternatives, which has 9 percent of its funds invested in Madoff's scheme, told the British Broadcasting Corp.
"All through the credit crunch this has been apparent," Horlick added. "This is the biggest financial scandal, probably, in the history of the markets." Among U.S. investors, the Boston-based Robert I. Lappin Charitable Foundation, a charity that financed trips for Jewish youth to Israel, let go of its staff after revealing that the money for its operations was invested with Madoff. The foundation helps support a variety of religious, educational, civic and arts organizations in New Jersey and elsewhere, and its contributions range from a gift of more than $300,000 to the United Jewish Communities of MetroWest New Jersey to a $2,000 donation to a children's program at the Hackensack Medical Center. They join a list of more powerful investors that have come forward, all worried about the extent of their losses. The roster of names include former Philadelphia Eagles owner Norman Braman, New York Mets owner Fred Wilpon and J. Ezra Merkin, the chairman of GMAC Financial Services, among others. The Wall Street Journal, citing a person familiar with the matter, said Mortimer Zuckerman, the chairman of real estate firm Boston Properties and owner of the New York Daily News and U.S. News & World Report, had significant exposure through a fund that invested substantially all of its assets with Madoff. The Journal also said the Steven Spielberg charity, the Wunderkinder Foundation, in the past appears to have invested a significant portion of its assets with Madoff. It said the Elie Wiesel Foundation for Humanity, founded by the famed Holocaust survivor and writer, was hard hit by losses, citing two people familiar with the organization's investments. Messages were left with the Zuckerman fund and Wunderkinder foundation. The Wiesel foundation said it was looking into the matter. The Journal also reported potential investors and firms exposed to the alleged fraud included: Carl Shapiro, founder and former chairman of women's apparel company Kay Windsor Inc.; Bed Bath & Beyond Inc. co-founder Leonard Feinstein; Yeshiva University; EIM Group; UBS AG; Fairfield Greenwich Advisors; Tremont Capital Management; Maxam Capital Management and Ascot Partners. Among those overseas confirming exposure on Monday, Banco Santander, the largest bank in the euro zone by market capitalization, said its clients have 2.33 billion euros ($3.07 billion) in exposure with Madoff, mostly through a fund called Optimal Strategic US Equity. HSBC, Britain's largest bank, said a "small number" of its insitutional clients had exposure totaling some $1 billion in Madoff funds. It added that it has custody clients who have invested with Madoff, but it did not believe those "custodial arrangements should be a source of exposure to the group." Royal Bank of Scotland — Britain's second-largest bank, which is now 58 percent owned by the British government — said it could lose around 400 million pounds ($600 million) through exposure in trading and collateralized lending to funds of hedge funds invested with Bernard L Madoff Investment Securities LLC. Man Group, the world's largest publicly traded fund manager that reported exposure of around $360 million on Monday, said "it appears that a systematic and comprehensive fraud may have been committed, evading a range of structural controls." Japan's Nomura Holdings said it has 27.5 billion yen ($306 million) in exposure, but added that any losses were likely to be limited compared to its capital base. Natixis, France's fourth-largest bank, set its maximum indirect exposure at about 450 million euros. A statement by the investment bank said it made no direct investments in hedge funds managed by Madoff. However, it said that some of its clients' money was invested in funds managed by "first class custodians," which in turn entrusted those securities to Madoff's investment securities company. Both Societe Generale and Credit Agricole said they had "negligible" exposure of below 10 million euros each. However, the euro zone's largest bank, BNP Paribas, has estimated its risk exposure to hedge funds managed by Madoff at up to 350 million euros. In a statement Sunday, BNP Paribas said it has no investment of its own in Madoff's hedge funds, but "does have risk exposure to these funds through its trading business and collateralized lending to funds of hedge funds." Swiss bank Union Bancaire Privee indicated it had hundreds of millions of dollars in client assets invested under the management of Madoff. The Geneva bank, one of Switzerland's largest, did not disclose a total amount invested, but did say the exposure of its clients "represents less than 1 percent of the total assets under management of the bank." UBP's announcement Monday followed weekend disclosures by Swiss banks Reichmuth & Co. of Lucerne, Banque Benedict Hentsch & Cie SA of Geneva and Neue Privat Bank of Zurich that they had millions of dollars worth of client assets at risk in the case. Unicredit, Italy's largest bank, said its exposure to Madoff's company is about 75 million euros, representing amounts the bank invested directly and not funds belonging to its clients, said spokesman Andrea Moreschi. Unicredit has a separate, indirect exposure through Pioneer Investment, its asset management division. On Friday, representatives from major U.S. banks — Bank of America Corp., Citigroup Inc., PNC Financial Services Group Inc. and Merrill Lynch & Co. — declined to comment on whether they had exposure to Madoff's company. Both BlackRock Inc. and Goldman Sachs Group Inc. said they had no exposure. Morgan Stanley, Wells Fargo & Co., Comerica Inc. and U.S. Bancorp did not return calls seeking comment.